WOLVERHAMPTON were unable to end Swindon's red hot streak as they suffered a 52-40 defeat at The Abbey Stadium. The Parrys International Wolves recorded just four race wins as their opponents sealed a 17th straight Premiership victory. The Monmore men conceded a 5-1 in the opening heat before a run of four shared races followed. But a mid-meeting spell saw the hosts secure four, 4-2 heat advantages in the space of five races saw the Wolves fall 12 points behind. 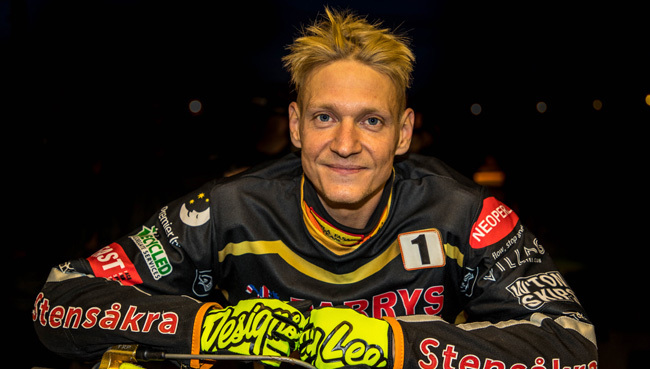 Skipper Freddie Lindgren was nominated for double points in the 11th and hit the front as Swindon guest reserve Tero Aarnio blew an engine. But Lindgren was to be denied the maximum points available as a stunning individual ride from home favourite Nick Morris saw him storm under the Swede down the back straight of the opening lap. And when Wolves ace Sam Masters became the latest rider to blow an engine whilst leading Heat 13, that ensured Swindon claimed another victory and three league points to guarantee them top spot during the regular season. Said Masters: "I still scored eight points but it's really frustrating because my bike stopped twice while I was winning races too. "So me and a few of the other boys had a bit of bad luck tonight but we just have to get past it and move on. "There's no disgrace in losing to Swindon; they're in some real good form just lately and they're riding good. "Okay they've finished top and they'll get the pick in the play-offs, but we showed last year that anything can happen in those few meetings. "So we can't dwell on it at all really. We have to now just take maximum points at Leicester on Friday and then in Monday's home double header as well." The Parrys International Wolves head to Midland rivals Leicester on Friday (September 1, 7.30) where they hope reserve Nathan Greaves will be fit to take his place following his withdrawal at Swindon with a chest injury sustained in a Heat 7 spill. A preview will be issued on Friday morning. SWINDON 52: Nick Morris 12+1, Jason Doyle 11+1, Tobiasz Musielak 10, Adam Ellis 8, Tero Aarnio 5+1, David Bellego 4, Alfie Bowtell 2+1. WOLVERHAMPTON 40 : Freddie Lindgren 10+1, Jacob Thorssell 9+1, Sam Masters 8, Steve Worrall 7+1, Mark Riss 4+2, Nathan Greaves 2, Rory Schlein R/R.